Michael will soon be cracking this pair of customized fire pattern Performance Hybrid Nylon Whips. The paracord colors used in this pattern include Imperial Red, Neon Orange, Neon Yellow, and Black. 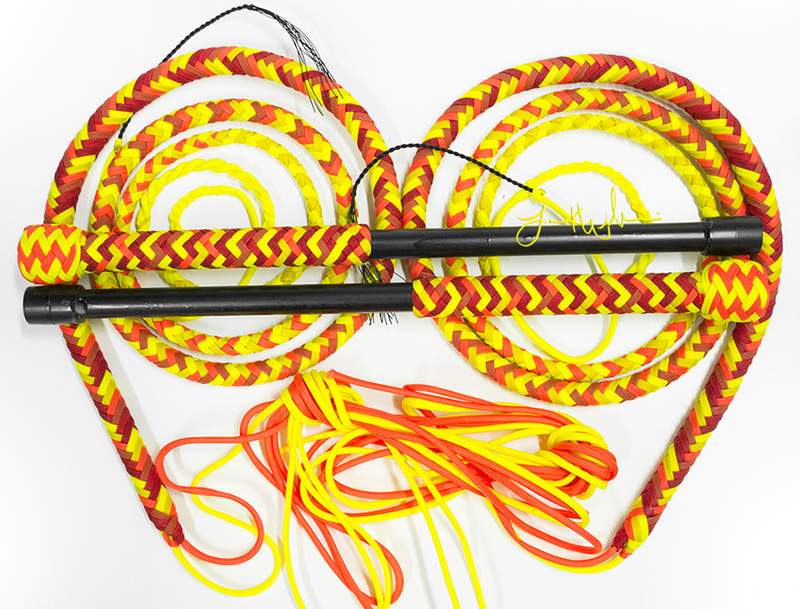 The standard Fire Pattern whips end in Neon Orange and Neon Yellow at the point, but we were asked to end this beautiful matched set of whips in Neon Yellow and Black instead. No problem! Check out our MidWestWhips Nylon Whips page for more information on how to order your own custom Performance Hybrid whips.